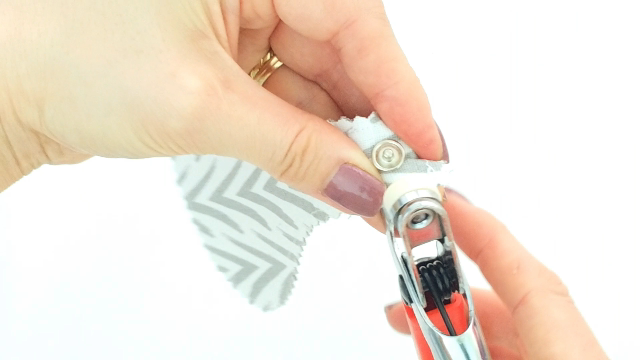 Learn how to attach snaps to any sewing project with this easy tutorial! 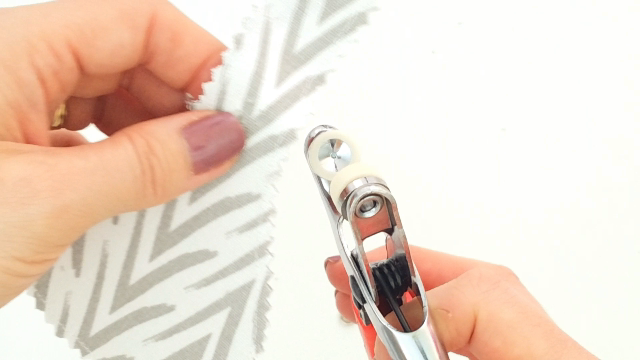 All you need is snap pliers and a few minutes to spare and your project will look both functional and fun! 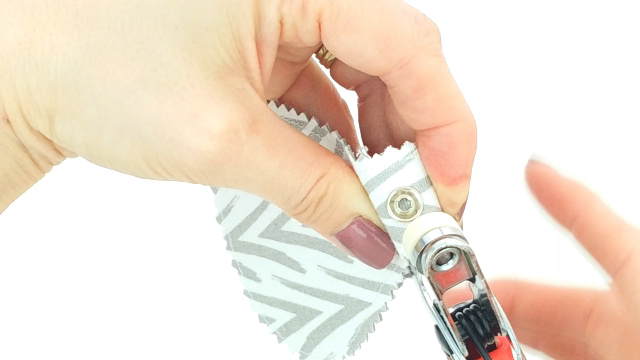 Have you ever wanted to learn how to attach snaps to your sewing projects but thought it’s too complicated for your skills? 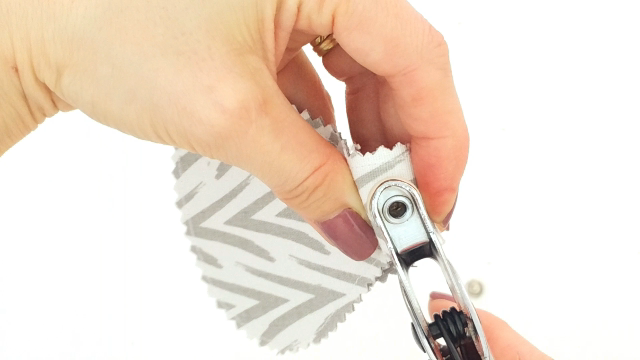 Leave all your worries behind as adding snaps to fabric is basically child play when you get to use a snap fastener tool! 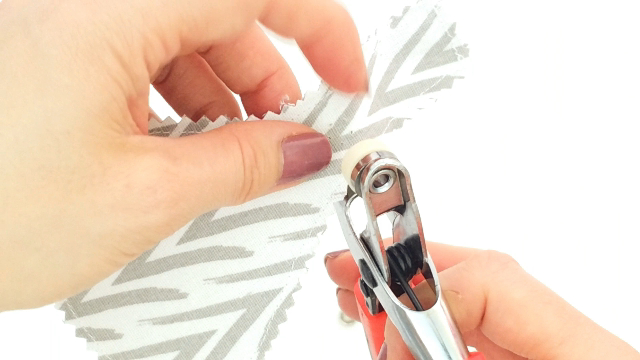 I’m always looking for ways to add a little more interest to my sewing items and to me, adding snaps to fabric is one of the easiest and fastest way one can accomplish this! The only problem was that I always struggled to add snaps to a project simply because I didn’t know any better! I had no idea there is a much simpler and faster way to install snaps, and that magical way is called snap pliers. I’ve stumbled upon this amazing tool by accident, I found it in a super market in my travels and although I had no idea of how to use it how to attach snaps with it as it didn’t come with any snap fastener installation instructions, I had a feeling this awesome tool will soon become one of my best buds! And I was totally right! After opening the kit, it took me just a few minutes to figure out how to use the pliers and attaching snaps to fabric has proved to be one of the easiest things I had to do in terms of sewing! So now all I want is installing snaps on all of my sewing projects! How weird would that be, right? In spite of all my excitement, I promise I won’t overdo it, I’ll use snaps only when it’s necessary! But one can only dream, right? Each snap contains 4 parts. The prongs are designed to keep the ball and the socket attached to the fabric and the ball goes inside the socket. Snap pliers are pretty similar in shape and functionality. My snap pliers are part of a complete kit with a hole punch pliers, grommet pliers and snap pliers, plus lots of metal grommets and metal snaps. I find it very convenient to have all in one kit. When applying snaps you have the option to make holes in your fabric first and then attach the snaps but I personally like to skip this step, I find the hole in the snaps a little unpleasant for the eye. The snap pliers have two different caps: one is where the prongs of the snap will rest and the other one will press the ball (for one side of the fabric) and the socket (for the opposite side of the fabric). Sounds too complicated? It really isn’t! 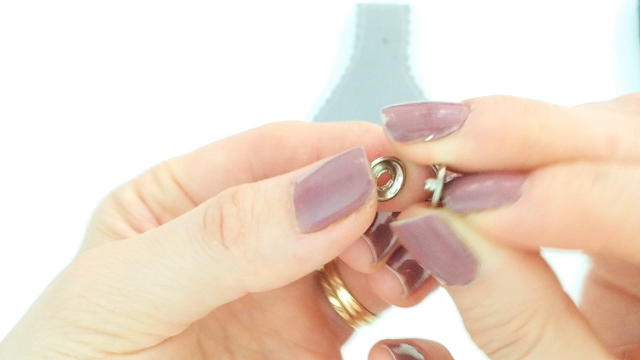 Follow my instructions below and you’ll learn how to attach snaps in…well…a snap! Make sure you practice a little before applying these instructions on a real project. With snaps, is very rare to get perfect results on the first try. Also make sure you have plenty snaps available. Even if you mess it up in a real project, removing and starting the whole snap installation process all over doesn’t do any damage to your project, so no worries! 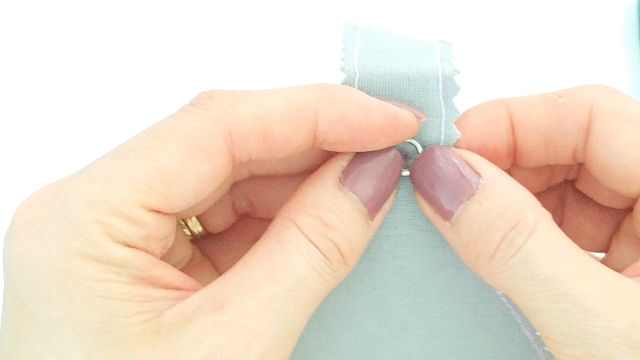 I will start by not recommending metal snaps to any fabric that is lightweight, too thin or too thick. For these, buttons, sew on snaps or hook-and-eye are a better choice. The metal snaps have some spikes that will be jammed onto the fabric and their purpose is to grab the fabric and hold it tight. If the fabric is too thin, they won’t be able to find enough body to hold on to and if the fabric is too thick, the spikes won’t be able to fully penetrate the fabric. For lightweight fabrics, adding some interfacing may do the trick though, but the interfacing might not be concealed. 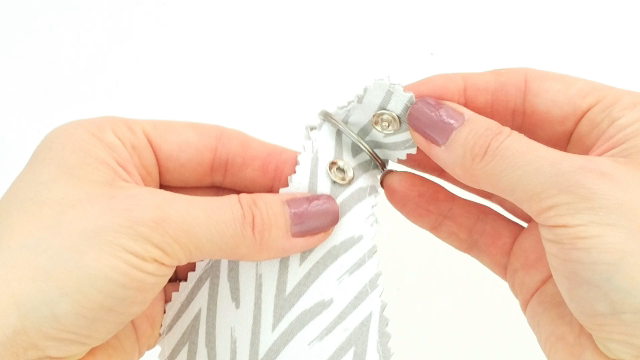 To attach snaps to fabric you’ll need two spike rings, one ball and one socket. Mark the fabric where you want to install the snaps. This is the center of each part of the snap. Mark on both the right and the wrong side of each fabric piece. Take one of the spike rings and place it’s center in one of the dots marked above. Push the fabric on the other side against the spikes with your fingers and nails until the spikes have completely penetrated the fabric. 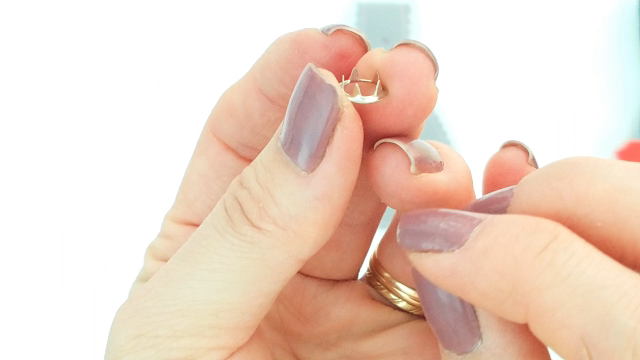 Now place the pliers under the spike ring (not the spikes), using the cap that is a little hollow in the center. 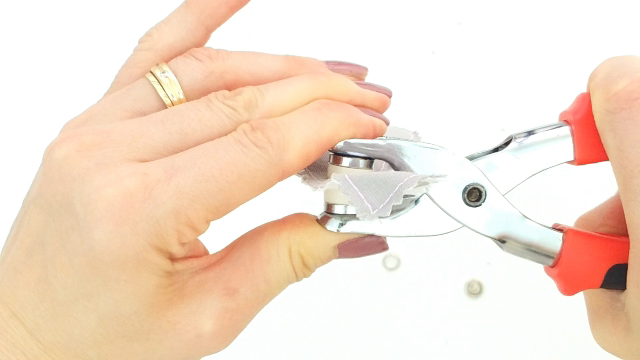 Push the ring into the pliers to secure in place. Get the socket and look at it from an angle to determine which side is raised. Insert the socket, with the protruding side out, into the metal holder of the pliers (opposite to the cap holding the spike ring). I’ve placed the socket on the fabric so you can see the exact position. Squeeze the pliers really firmly. 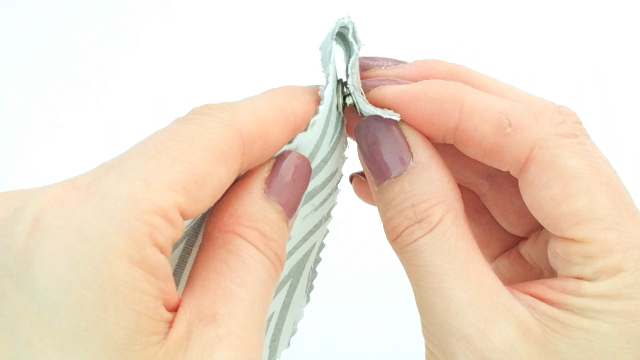 To install the snap ball, make sure the fabrics and the snap parts overlap. Meaning the snap ball will have to match the snap socket, so make sure you think about it a little before applying the ball to the opposite fabric. Applying the snap ball will basically repeat the steps for the snap socket. The difference is in which side of the fabric you attach the spike ring and the snap ball so the ball matches the socket. I used the snaps for a keychain so in order to match the ball and socket I had to apply the second spike ring to the same side of the keychain as in the first half of the snap. And this is how the snap looks when all pieces are installed. If you liked this tutorial please let me know in the comments below and don’t forget to rate it! Thanks!